This Channel Island native grows well in the shade of oaks and other large trees in inland valleys and direct sun near the coast. Galvezia speciosa grows best in conditions of light shade in the inland valleys and it enjoys full sun near the coast. 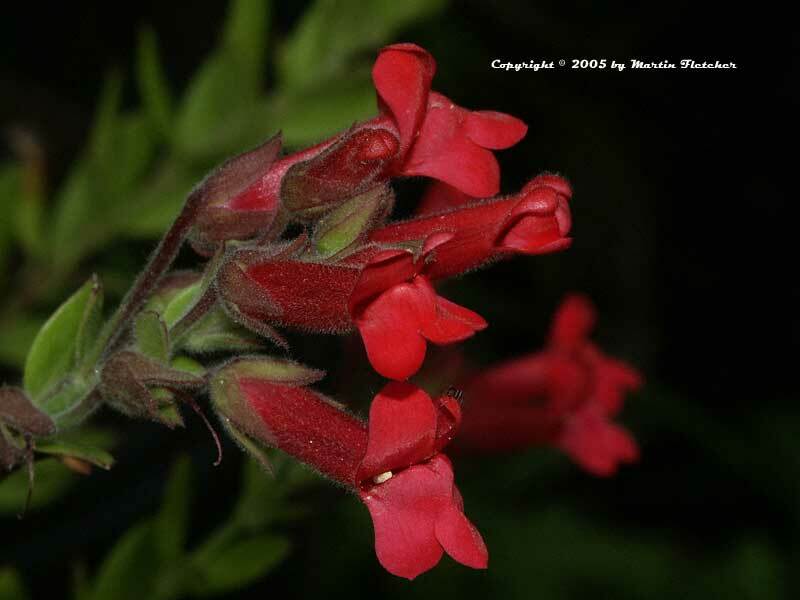 Once established the Island Snapdragon needs little additional water. I have grown Galvezia speciosa in rather dark conditions and it will still bloom but is rather leggy. The cultivar Galvezia speciosa Firecracker is more compact. Galvezia speciosa will have foliage damage when temparatures dip below 20° F. The genus has been changed to Gambellia but the nurseries are still mostly selling the plants as Galvezia. Galvezia speciosa is a potential larval food source for the Common Buckeye Butterfly and could be a nice addition to your butterfly garden. Red flowers and foliage of Galvezia speciosa Firecracker - Island Snapdragon. High resolution photos are part of our garden image collection.